Nicole began practicing Pilates for over 16 years and teaching for the last 13. Nicole graduated with a B.A. in Dance from the University of California Santa Barbara back in 1999. She first discovered Pilates while studying at UCSB and was amazed at how this method of movement greatly improved her dancing technique. After also experiencing the incredible results of practicing Pilates both during and after the birth of her sons, she began her apprenticeship in 2005 with Shari Berkowitz, world renowned Pilates educator and Biomechanics/Ergonomics Scientist. Under Shari’s direction Nicole learned how to teach Classical Pilates with a modern understanding of Biomechanics and Functional Anatomy. After training for over 600 apprentice hours, Nicole received her Power Pilates Comprehensive Certification in April of 2006. In addition she also became a Certified Pilates Teacher with the Pilates Method Alliance in 2013. Nicole continues to work with Shari on a regular basis bringing her clients the latest applications of modern science to Classical Pilates. Over the years, Nicole has taught everywhere from small Pilates studios, large corporate gyms and community classes. After a health crisis in 2013, Nicole was forced to all but give up teaching Pilates in order to regain her health. She discovered the importance of taking care of your whole body, mind and spirit in order to become the healthiest version of yourself. With her new lifestyle, and emphasis on emotional health, whole foods, good sleeping habits and nurturing movement….Nicole became inspired to open Whole Living Pilates and share her passion and story with others. In January 2017 she opened Whole Living Pilates with a desire to bring Classical Pilates to Colorado Springs offering the highest level of instruction and Pilates apparatus available in this area. Her studio is the first to offer all Classical apparatus by Pilates Designs, LLC in Colorado Springs. 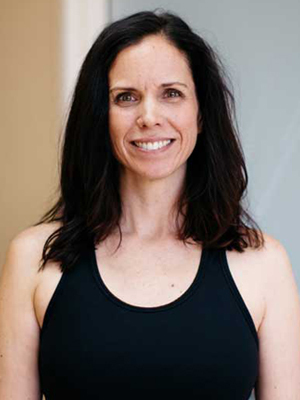 Nicole is passionate about helping clients of all levels to experience the power of Pilates in their own bodies and reconnecting to their body, mind and spirit. While not teaching Pilates, she loves spending time with her husband and three sons enjoying the beauty of Colorado.